On Wednesday, June 27, 2018, the Dallas City Council is scheduled to consider two dog-related ordinance changes that were recently passed by its Quality of Life, Arts, and Culture Committee at the urging of Dallas Animal Services. One non-controversial change would amend the city’s dangerous dog law. Another change, however, would require any animal redeemed from a shelter to be sterilized in order for the owner to reclaim the animal. Currently, with the exception of competition animals and those subject to an intact animal permit, if an owner wants to redeem their animal from the animal shelter, it must be spayed or neutered as a condition of release. However, this new ordinance would remove these exceptions, even for a competition or breeding animal’s first at-large offense. (Click here to view this proposal.) 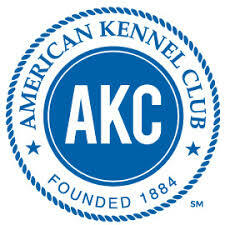 The AKC is concerned with the severity of this “one-strike” penalty for breeding or competing dogs not habitually found at-large, and respectfully urges the City Council to maintain the exemptions that appear in current law. We strongly encourage all Dallas-area clubs and residents to contact the members of the City Council and request those protections be preserved. The dangerous dog proposal seeks to simplify enforcement processes for animal owners and bite victims, and seeks to extend coverage to animal-on-animal attacks. It would, among other provisions, create criminal penalties for allowing a dog to bite, would implement a city-wide dangerous dog registry open to the public, impose additional penalties for second attacks, and add a new section for aggressive dogs. All Dallas-area clubs and residents are strongly encouraged to both attend the June 27 meeting and to contact the members of the Dallas City Council to respectfully express concerns for the proposed elimination of the current exceptions from spay/neuter requirements for competition animals and dogs subject to intact animal permits. I am a member of a Dallas-area dog club, a responsible breeder/owner, and I am concerned with the proposed elimination of the exceptions from shelter sterilization requirements that currently apply to competition animals and dogs subject to an intact animal permit. In general, responsible breeders and owners, many of whom are also purebred dog fanciers and enthusiasts who compete with their dogs in AKC-sanctioned events like dog shows and field and agility trials, do not contribute to animal control issues in their communities. When the city considered implementing mandatory spay/neuter, the City Council believed it important to protect the rights of these responsible owners by providing exceptions for competition animals and residents who acquired an intact animal permit. While I appreciate the goal of the City’s shelter to reach “No Kill” status, I do not agree that it should be done by diminishing the property rights or value I have in my animals, especially if there is no evidence of repetitive at-large violations. Furthermore, maintaining these exceptions from the shelter sterilization requirements will not impact or hamper the City from achieving its goal. For these reasons, I respectfully urge you and members of the City Council to amend the proposal to preserve the protections for competition animals and dogs subject to an existing intact animal permit.